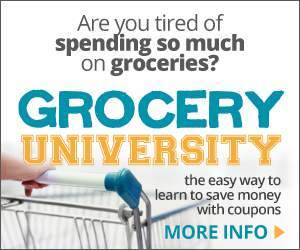 It’s hard being frugal in a world where you are constantly bombarded by ads and commercials. Everywhere you turn there is something new and improved that will make your life oh so much better. So what’s a person, who is trying to live within their budget, to do. How do you avoid the pull of the social pressure to have the newest, biggest thing? 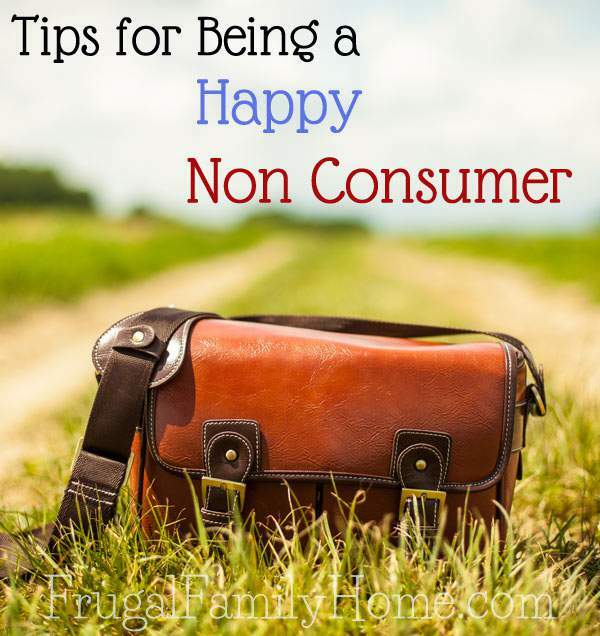 Here’s a few tips to help you become a happy non consumer in an all consuming world. Seeking after the next new thing will only keep you broke and working more hours to stay out of debt or get out of debt. When you value the time you spend with family and friends, more than the things you can buy, the pull of the next new thing fades away. 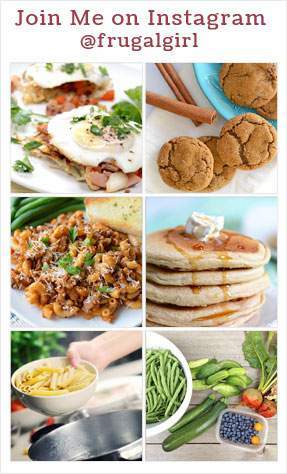 Then only the things that will truly make your life better will seem appealing. Your neighbor or friend might have a new car or a new gadget that is, oh so great. You may have envy and want those same things. But what you might not be seeing is all the hours that person has to work, to pay for that new shiny item. Or the stress they have from the increasing debt load they are carrying. I heard recently on the radio these interesting survey results. When teenagers were asked, who do you think has more money? Those who have fancy cars and nice things? Or those who have just the average things? The teens almost always answered the person with the new or latest things. But the truth is most of those people, with the newer items or fancier items, had more debt and were less financially secure. Don’t compare what you have to others. You might have less or no debt, while someone else has more stuff, but none of it is paid for. Be content with what you have. When you are content, the new things have less of a hold on you. When you are truly happy with what you have, you will be content to be a happy non consumer. You won’t feel like you are missing anything. What are some things that keep you a happy non consumer? I’m sure there are lots of other things to add. I would love to have to you share your thoughts in the comments below. I think that being content with what you have and modeling that to your children is incredibly important, especially in the world we live in today. What a refreshing post to read right before the rush to buy, get, and give. The “what to buys” abound right now! I think the biggest thing for me is gratitude. I am so grateful for all that we already have. We aren’t wealthy but there is always a meal on the table, a warm place to sleep, and lots and lots of love to go around. Sometimes enough really is enough. Anne, you are right sometimes enough is really enough. Thanks for stopping by! Something that I often ponder on is how lucky we are to live where we do and when we do. Electricity, running water, reliable heat in our homes – these are things that our ancestors in the not so distant past even would look on as miracles. Reading the Little House books as a child really impressed me – how little they had – and how grateful they would be over such small things – like a piece of candy at Christmas!!! Even in our world today, there are so many places where others have so little compared to many of us. All I have to do to nip the discontentment in the bud is to think of that!